Starting Batteries known as SLI (starting, lighting, ignition) batteries are used mainly to start and run engines. Engine starters need a large burst of starting current for a very short period of time, hence the specific construction of the battery. Its plates are composed of lead “sponge” giving large surface area for optimal energy outburst, but if the battery is misused for deep cycle applications the fine sponge will deteriorate rapidly and fall to the bottom of the cells. Automotive batteries, for example, can easily last for thousands of cycles in normal starting use, but when used for deep discharge applications it will generally fail after 30-150 cycles. 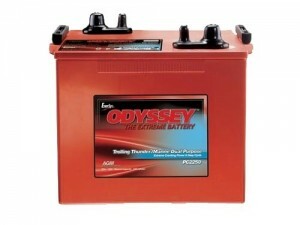 Deep Cycle batteries are designed specifically for longer deep discharging cycles – up to 80% discharge. Not only do they have much thicker plates, but they are also from SOLID Lead and not just lead sponge. This means that the deep cycle battery provides much less surface area, which means less of a starting outburst of power. Although these batteries can be discharged down to 20% capacity, you can get the best value for your money in terms of lifecycles if you keep your average discharge cycle at around 50%. 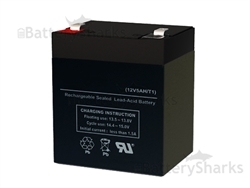 Unfortunately, it is hard to know whether you are buying a good quality deep cycle battery with thick plates or a thin plated substitute. There are only two ways to be sure really. 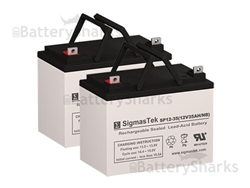 One is to crack open the battery (not recommended) and the other is to trust only brands with proven track record of delivering high-quality products of this type – SigmasTek, Deka, C&D, Crown, etc. 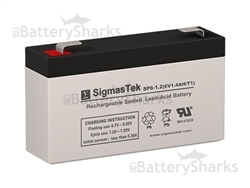 Click here for more information on Deep Cycle vs SLI Batteries! 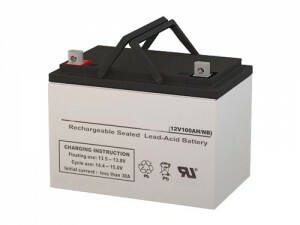 Those batteries are usually a “hybrid” variation, falling between the starting and deep-cycle types. In the Marine Batteries, the plates may still be composed of lead sponge, but it is coarser and heavier than that used in normal SLI batteries. They are still perfect for Deep Applications like solar power storage, powering wheelchairs, scooters, medical equipment and more.